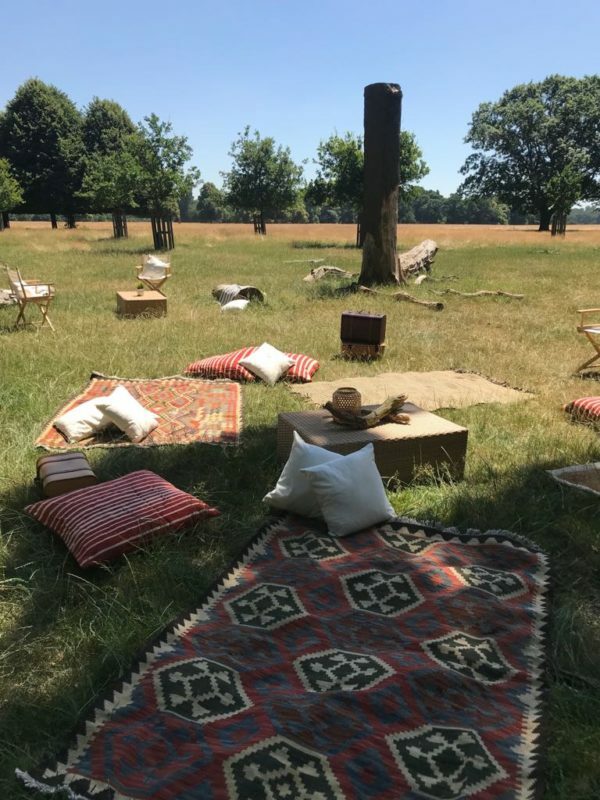 Our client packed up and went on a Safari to the picturesque Richmond Park! Guests were welcomed on a scorching hot afternoon into an Elegant Savanna setting. Cushions, patterned rugs, rattan coffee tables and vintage style suitcases lay amongst the wildlife to create the theme. 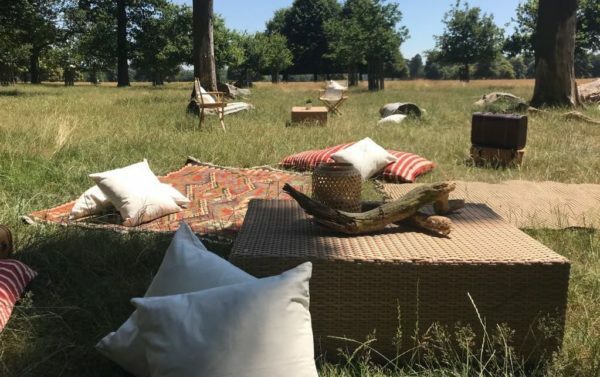 Guests lounged in the long grass on their London Style Safari with Wild Deer roaming and Beautiful Birds soaring through the sky. Everyone definitely dressed to impress wearing floaty summer dresses paired with fedora hats… very Summer London Chic. 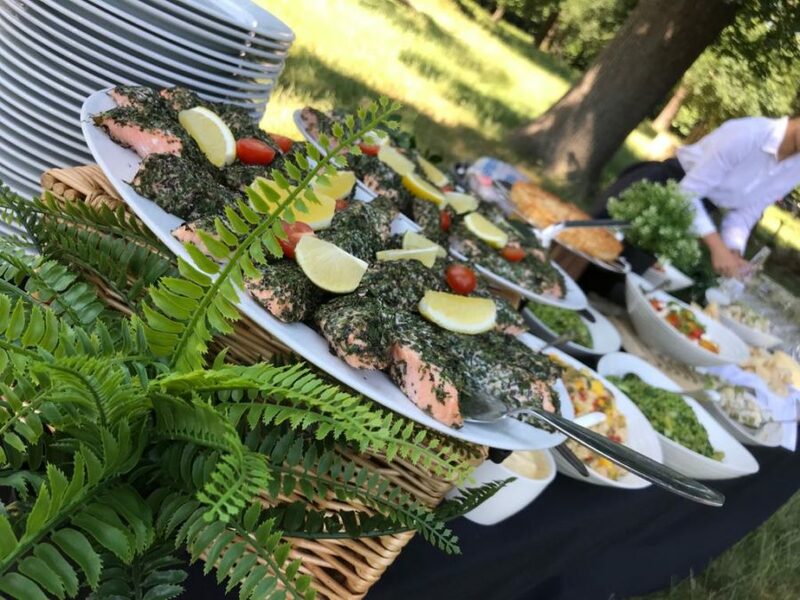 The buffet style menu was presented in pretty picnic baskets bursting with fruity and fresh flavours with our Posh Coronation Chicken and Summer Garden Salmon with fresh Rosemary, Basil, Mint, Thyme, Coriander and Parsley with a Lemon dressing. 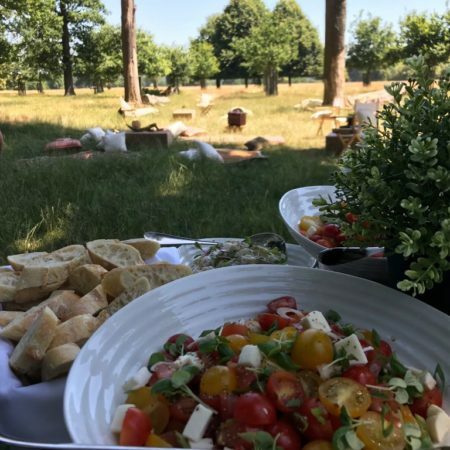 The two main dishes were perfectly paired with three different salads; Spring Salad with refreshing Asparagus and Petite Poi’s, Tomato and Mozzarella Salad and Zesty Potato Salad. Guests of course indulged with a sweet treat to enjoy after, opting for Summer Berry Pavlova. The Party carried on well into the afternoon with plenty of Gorgeous Gin and Tonics and our House Rose to go around. So, have we inspired you for your next Picnic in the Park? How about a Vintage Picnic or a Mediterranean Feast? 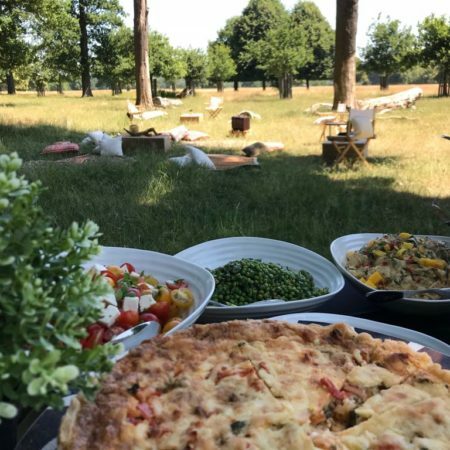 Get in touch to book your next Picnic with us…?